“American Factory,” by Julia Reichert and Steven Bognar, will premiere at Sundance. 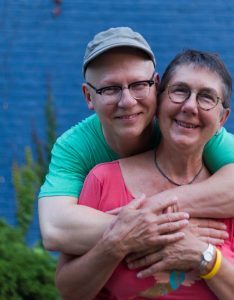 A documentary by former long-time Wright State University Motion Pictures faculty members will debut at the 2019 Sundance Film Festival. “American Factory,” the latest documentary by Julia Reichert, professor emeritus, and Steven Bognar, is one of 16 documentaries that will premiere at Sundance in Park City, Utah, Jan. 24 to Feb. 3. The film will premiere in the U.S. documentary competition. “American Factory,” which Bognar and Reichert directed and produced, focuses on the opening of Fuyao Glass America plant at the site of a former General Motors plant in Moraine. Reichert and Bognar documented the final days of the same plant before it was shuttered in their 2010 HBO film “The Last Truck: Closing of a GM Plant.” “The Last Truck” was nominated for an Academy Award for Best Documentary (short subject). 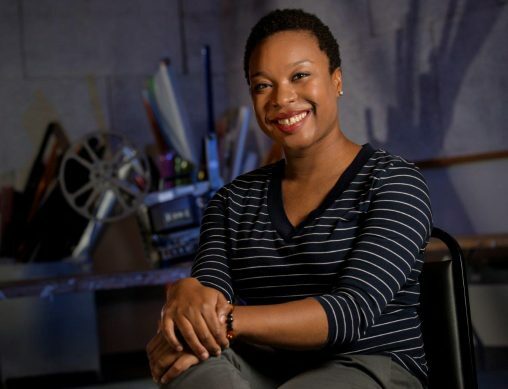 In addition, “Clemency,” a film by Chinonye Chukwu, former assistant professor of motion pictures at Wright State, will premiere at Sundance in the U.S. dramatic competition. The film centers on prison warden Bernadine Williams as she prepares to carry out the execution of a death-row inmate. “Clemency,” by Chinonye Chukwu, former assistant professor of motion pictures at Wright State, will premiere at Sundance. “American Factory” and “Clemency” were developed when Reichert, Bognar and Chukwu were serving as faculty members in the Wright State College of Liberal Arts. Both films involve numerous other faculty, staff, students and alumni. Reichert and Bogner were longtime faculty members in the Department of Theatre, Dance and Motion Pictures. They have mentored dozens of emerging filmmakers from around the country. “A Lion in the House,” which Reichert and Bognar produced for PBS, won the Primetime Emmy for Exceptional Merit in Nonfiction Filmmaking as well as the Henry Hampton Award for Excellence in Film and Digital Media. Chukwu is a 2009 recipient of the Princess Grace Award. Her debut feature film, “AlaskaLand,” was screened at the Chicago International Film Festival and the New York African Festival at Lincoln Center. Her short film “The Dance Lesson” was a regional finalist for the 2010 Academy of Motion Picture Arts and Sciences Student Academy Awards. Her short film “A Long Walk” won the Special Jury prize at the USA Festival and was screened at several Academy Award Qualify festivals. As a faculty member at Wright State, she coordinated the “Pens to Pictures” project, which featured five short films by incarcerated women at the Dayton Correctional Institution.